Remember those dog collars that were really popular in the 90’s as statement jewellery? Well they are back again, and this time with lace, metal, shiny pendants and even crochet in the picture. 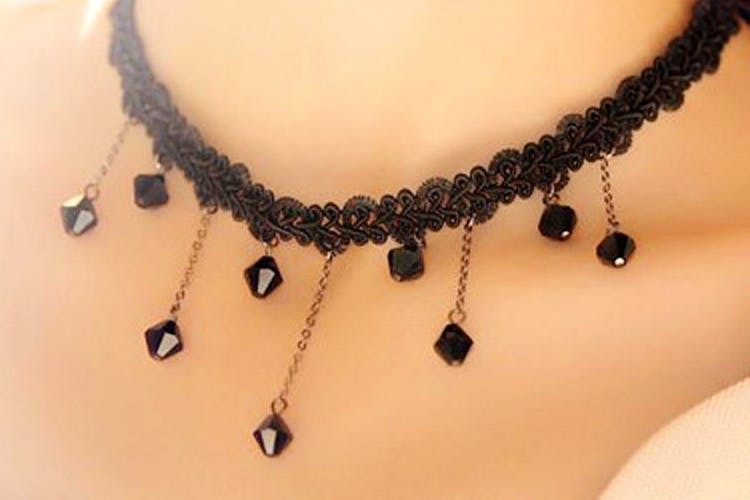 Chokers are back with a bang and they are here to make your neckline feel edgy. Ladies, if you are going for the slightly goth look, then our pick of velvet, lace and crochet chokers can be a killer addition to your outfit choice, but for those who’d rather wear a toned down version of the choker, we have some layered, simple and gold ones too.